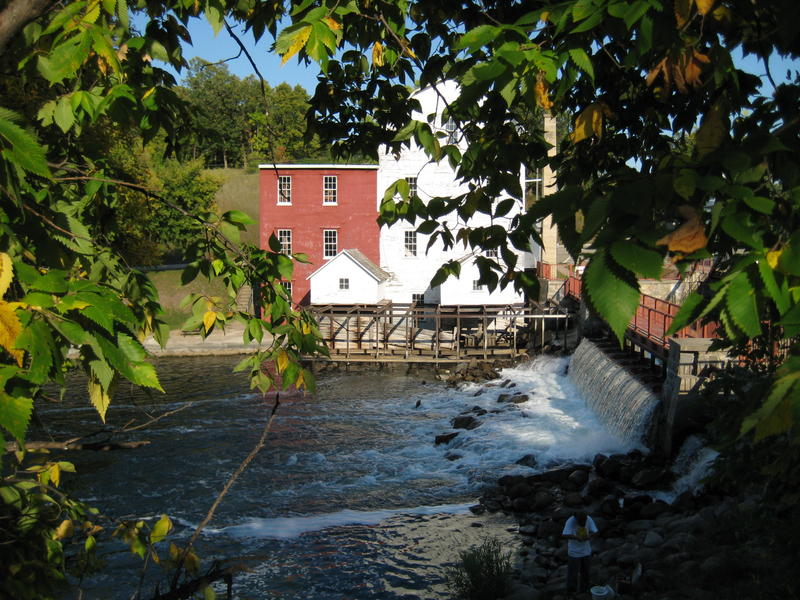 On your trip to the Prospect House & Civil War Museum, visit some of the area sites. The Prospect House & Civil War Museum is located in Otter Tail County in West Central Minnesota, a land of lakes and rolling countryside. Formed by glacial action 75,000 years ago, the land is fertile and picturesque. The glacial action left behind depressions or “potholes,” many of which filled to become Minnesota’s 10,000 lakes. 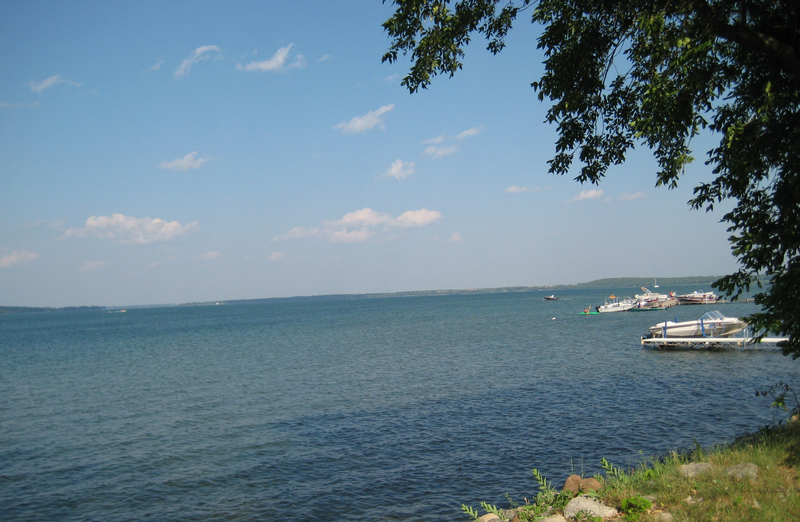 Otter Tail County has one-tenth of all the lakes in the state, more than 1,000. Native prairie and deciduous woodlands meet in this land of water and gently rolling hills. 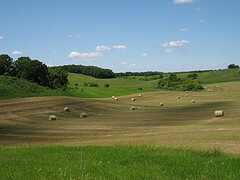 The terrain between Interstate 94 and the Prospect House & Civil War Museum is some of the most beautiful in the state. Tradition has it that the town was named after Indian battles fought over coveted hunting and fishing territory during the late 18th and early 19th centuries. The Chippewa and Sioux sometimes shared, but often fought over land that offered fish and game for food, furs for clothing, fuel for winter camp fires, and building material for wigwams and canoes. Accounts of the last battle differ, and none are incontestable, but one thing is sure: The battle was bloody. The Ojibway named the location of the last battle Ishquonedewnining (where few survived), the French called it Lac du Battaile, or in English, Battle Lake. Although the town was mostly established by the time “Cap” Colehour built the Prospect House in 1882, Battle Lake wasn’t officially incorporated until almost a decade later on April 28, 1891. 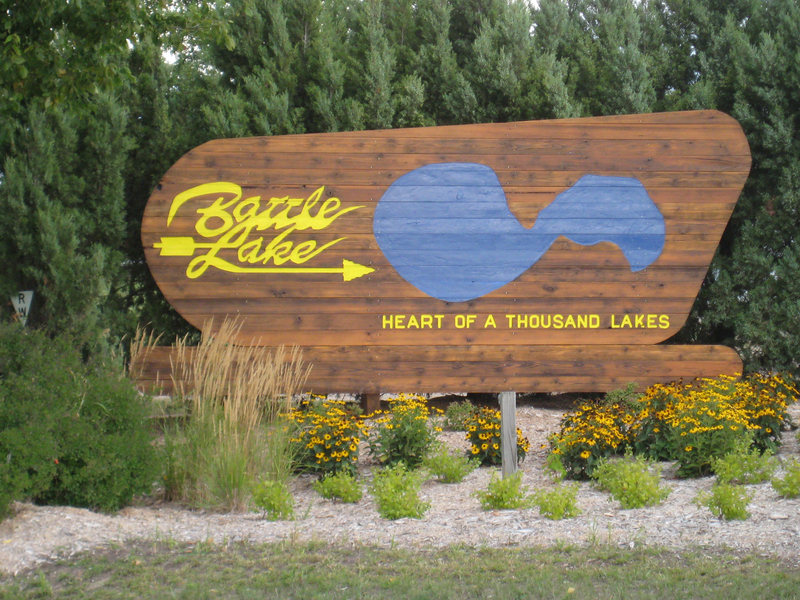 Battle Lake’s populations is 747, but people living on West Battle Lake outside the City limits, on one of the dozens of other nearby lakes, or on farms surrounding the town, swell its ranks to nearly 3,000 area residents. Battle Lake is located along the shores of West Battle Lake. It is popular for water activities of all sorts, including fishing – summer and winter – boating, swimming, and water skiing. When “Cap” built Prospect House atop the hill overlooking the town, West Battle Lake and Silver Lake were visible from the stately mansion. Today, State Highway 78, trees, and houses built along the lakeshore obstruct much of the views. A bike-walking trail runs along the western edge of the lake past a public dock and out to a grass-strip airport. Visit Minnesota. Enjoy Minnesota vacations in all four seasons of the year. Discover the best travel destinations in all of our unique regions and tourism spots. While in the area, you should stay at the Xanadu Island Bed & Breakfast and Resort. "Our guests return full of excitement and enthusiasm about what they’ve seen and heard at the museum and they love the tour Jay gives!! We’ll most certainly keep referring our guests AND we’ll return as well. Wishing you the best of all summers." More information about Otter Tail County can be found at the Otter Tail County website. 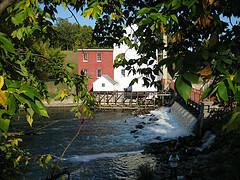 Find other Minnesota Museums at the Minnesota Historical Museums Guide. 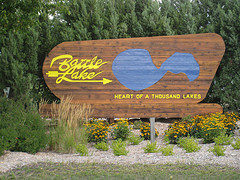 Find and share the best local info in Battle Lake MN on AmericanTowns.com.